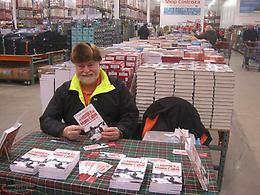 A MUST LISTEN, THE MURDER OF MINNIE CALLAN, THE MOST HORRENDOUS AND CRUEL WAY A PERSON COULD DIE, A FAMILY TORN APART, IN THE WRONG PLACE AT THE WRONG TIME, THE VERY FIRST TIME THE ABSOLUTE SHOCKING TRUTH WAS TOLD, WAS JUSTICE SERVED, YOU BE THE JUDGE, LAUNCHED SEPT 15 & NUMBER 1 SELLER IN ATLANTIC CANADA, PUBLISHER FLANKED PRESS, ON SALE WHERE ALL GREAT BOOKS ARE SOLD--GET IT NOW-- P.S JUST TYPE--cbc interview with tom gruchy AND LISTEN TO THE 18 MINUTE INTERVIEW WITH THE AUTHOR AND TED BLADES, CBC RADIO 1, ON THE GO RADIO SHOW. 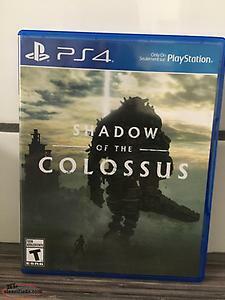 Shadow of the Collossus PS4 game no scratches. No instructions. Hi, I'm interested in the 'THE MURDER OF MINNIE CALLAN, ATLANTIC CAN BEST SELLER' posted on NL Classifieds! Please contact me if still available.